The EnerTwin is a micro CHP (Combined Heat and Power) system where a boiler and a small power plant are combined in a single durable device. The EnerTwin has been developed by MTT (Micro Turbine Technology BV). The heart of the EnerTwin is a micro turbine that drives a generator. The micro turbine delivers 3kW electrical power and 15kW thermal power for heating and hot tap water. The EnerTwin is reliable and has a long life. EnerTwin generates electricity at a (marginal) cost that is substantially lower compared to buying electricity from an energy utility. This cost advantage is around 50%. Availability of subsidies and bonuses for decentralized generation will increase the cost advantage even further. The essence of CHP is to generate both heat and electricity. This translates into significant energy and fuel savings, as well as substantial CO2 emission reduction. CHP is already implemented in large-scale electric power stations providing heat for district heating that would otherwise be wasted. On a smaller scale, CHP is currently successfully used in greenhouses in the Netherlands. Micro-CHP is combined small-scale heat and power generation at locations where both are demanded. 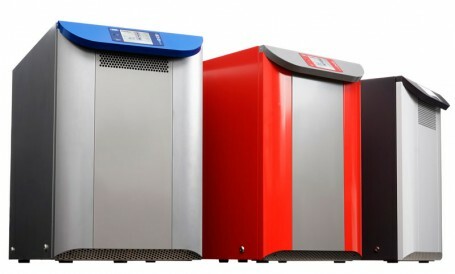 Commonly, heat demand drives operation of the micro-CHP system. The electric power thus becomes a by-product, being produced at a very low cost price. The main advantage of micro-CHP is that the energy in the fuel is almost fully utilized. This stands in contrast to conventional power plants, where substantial amounts of heat are lost into the atmosphere or in cooling water. Moreover, micro-CHP saves transmission and distribution losses of electricity from power stations to end-users.